Limited access to a lab room with specimens or cadavers? Have iPads, Android phones or iPhones? Try 3D models in augmented reality! Dissect a virtual cadaver in the prone or supine position. Dissect models of the eye, brain, heart, and more! An augmented reality experience is created when you use the camera of a device (like an iPhone, Android phone, or iPad), to view a real world environment, with digital information placed in that environment. Visible Body added augmented reality functionality to Human Anatomy Atlas so that users could place a virtual human organ or complete human body model on any flat surface, view it, or step through a virtual dissection. Learn more about augmented reality on our blog. 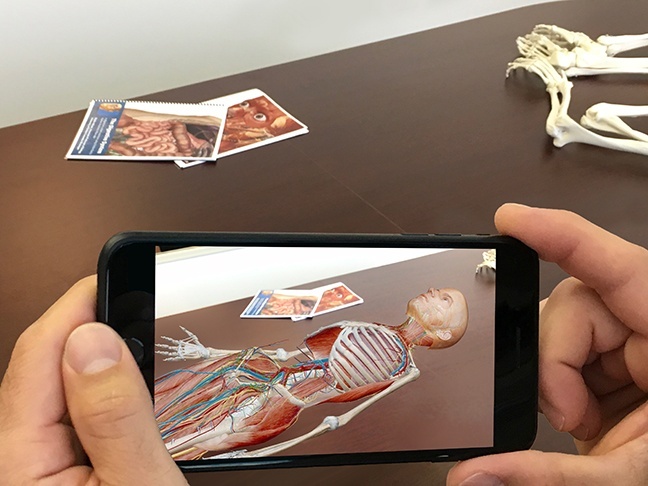 Try out an augmented reality anatomy dissection! 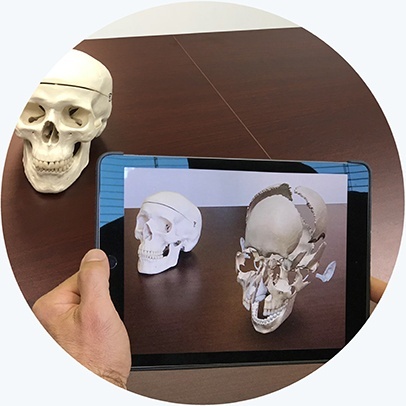 If you have a mobile device that supports augmented reality you can download Human Anatomy Atlas to your Android phone, iPad or iPhone. Check out our free AR lab activities as a way to try out the idea. Contact the Visible Body Education Team for a free institutional trial for you or your students. Watch the tutorial videos about using the AR features in Human Anatomy Atlas and using the anatomy lab activities with AR. Want to try AR? Contact the Education Team for a free instructor trial!